Coming March 30th is a new contemporary romance from Rachel Higginson! 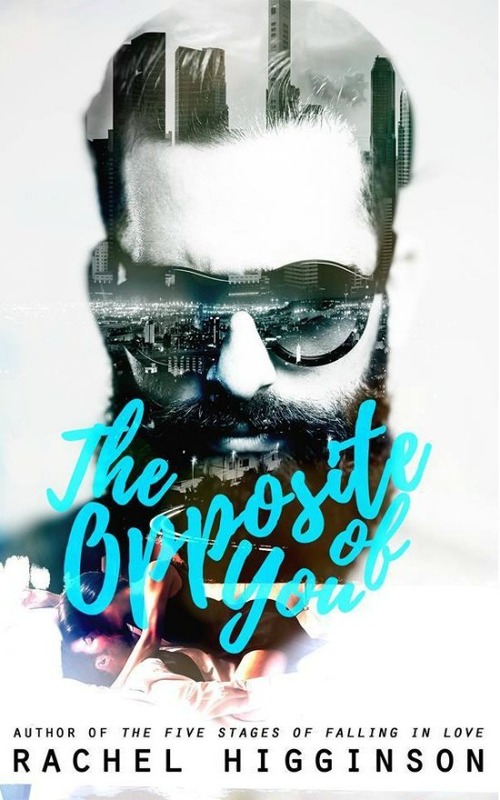 I’m so thrilled to be able to give you guys a sneak peek at The Opposite of You, which sounds amazing! I’m stubborn. And headstrong. And I’ve just survived the worst three years of my life. After escaping an abusive fiancé to live in hostels and cheap hotels while I worked my way across Europe, I’ve come to two conclusions. Ignoring Wyatt and Molly, I opened Killian’s note. Congratulations on the least original food truck idea ever. If you’re hard up for inspiration, you can always ask me for help. Just when I thought he’d leave the salt out of it, he added a quickly scrawled, Be real, is salt holding you at gunpoint right now? “I feel weird saying this, but I think he actually liked it tonight.” I read the note again, waiting for the missing soul-crushing putdown, but I couldn’t find it. I mean, it wasn’t like the nicest thing I’d ever read, but it lacked Killian’s flare for sending me to therapy. Actually, he’d even offered to help me. I considered my revenge for a long time before settling with something as equally anticlimactic as Killian’s had been. Turning the paper over, I scrawled back a response. It would have been better if I could have written it in magazine cutouts, but there was no time for theatrics. Salt wants me to say that I’m not being held against my will. I mean, I love being held against my will. I mean, I love salt. I think it’s Stockholm Syndrome. I passed the note back to Wyatt and capped my pen before sticking it somewhere in the dangerous abyss of my hair. He touched the corner of the folded note to his temple and meandered back across the street to his side of the fence. “So do you think he’ll stop by later?” she asked quietly since a few customers had stepped up to the menu board. “He’s stopped by before,” I reminded her. Molly fell quiet again, probably trying to figure out the logistics of Killian’s life. She could join the club. In the time that I’d opened my food truck, he’d only been absent for dinner service a handful of times. He started his morning early at Lilou with deliveries, of which he was always present. Probably to ensure the food being delivered was up to his standards. Then sometimes he disappeared during the middle of the day and sometimes he worked straight through lunch. But even if he took a break, he was almost always back in time to prep for the night. Not that I was stalking him or anything. Besides, that was the price you paid for running a kitchen like Lilou. That was the life we lived for. We were all workaholics. Even chefs who didn’t work every single night, like me, still couldn’t let the job go. It didn’t end. We never really left. Just like I predicted, Killian showed up an hour later after a late night rush. He walked right up to the window and said hi to Molly. I pretended not to notice him. I had chili to stir. And other stuff. Do not engage. Do not engage. Do not engage. I had no willpower. I would have made a terrible ninja. “So, you’re catering to the masses now? How revolutionary,” he scoffed. He stared at me, those green eyes glittering with something he wanted to say, but for some reason he held back. Which wasn’t fair. I wanted to know what it was. And I wanted to know why he held back. And I wanted to know a hundred other things I shouldn’t want to know. Another minute passed before I realized we were just standing there, staring each other, locked in some kind of weird hate spell. Eventually people moved to stand in line behind him and we were simultaneously released from the enchantment. My breath caught. He was so sweet in this moment. Gentle. Reserved. Open. Fear curled inside me, fueled by his gesture of kindness and the way his hair fell in tousled waves. I wanted to run my fingers through it, like he had. And that terrified me. I didn’t have time for him. Or this unwanted attraction. I’d sworn off men. All men. Including, no wait, especially, arrogant, pigheaded, pushy chefs like Killian Quinn.